I am very fortunate to say I have many blessings to be thankful for in my life. One of those blessings is my career. I get to work from home in a Studio filled with marshmallows and sugar. Click on photo to tour my Studio. I’ve designed + created sugar art. I’ve taught classes + workshops. I’ve traveled the country. I’ve attended awesome shows and conferences. I’ve written a book. I’ve worked with incredible brands and companies. I’ve learned so much about blogging, photography, social media, digital marketing, branding and more. I’ve made good friends and met some amazing people along the way. All because my mom convinced me I should start a business making marshmallow pops. 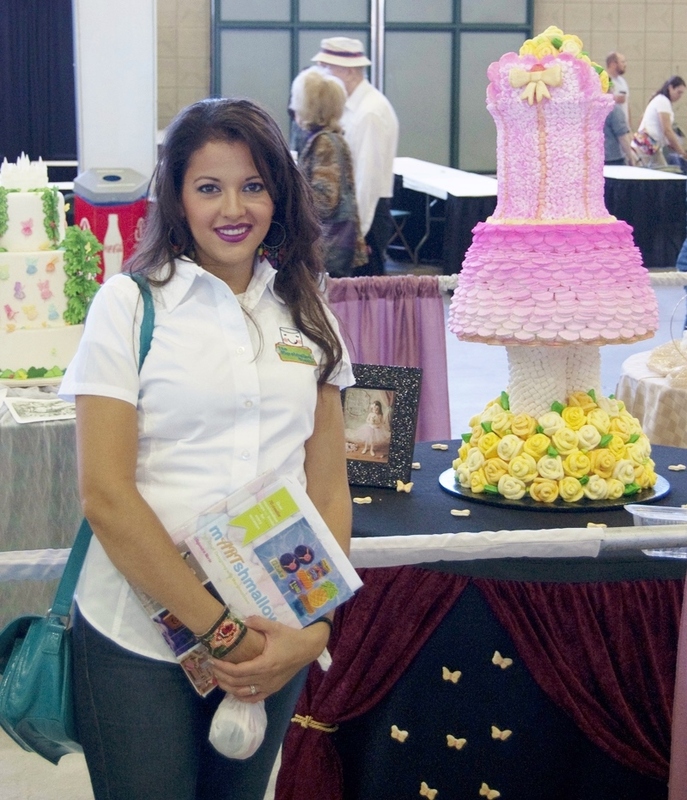 I’m proudly holding my book and standing next to my showpiece at the 2013 Oklahoma State Sugar Art Show. I’ve been able to connect with marshmallow fans all over the world and share my passion and knowledge with them. 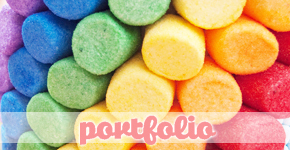 I am thankful for the day The Marshmallow Studio and KRAFT Jet-Puffed Marshmallows crossed paths. I’ve been happily working alongside with this brand since June 2012. This was how I announced to the world that I was joining the Jet-Puffed brand. Click on photo to read more. 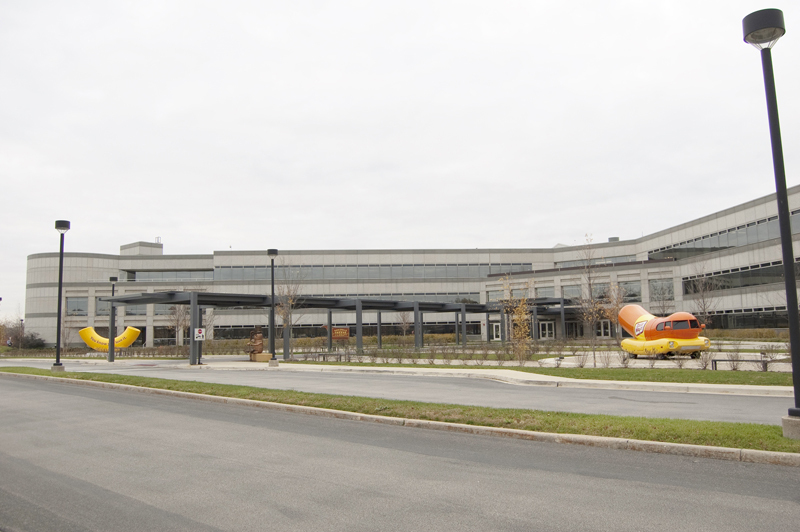 A couple of weeks ago, I got to visit again my team at the Kraft Heinz Company headquarters in Northbrook, Illinois. During my visit, I learned that they will be moving HQ to downtown Chicago in January. I said “oh no, but I LOVE this building!” However, I do think it will be a good change for the company and the employees. Anyway, I wanted to give you a little tour of what Kraftown is (or was) like. The building is sooooo big, I couldn’t get it all in one photograph. There are a few iconic brand monuments in the front. After a long walk from the parking, this is the main entrance to Kraftown. 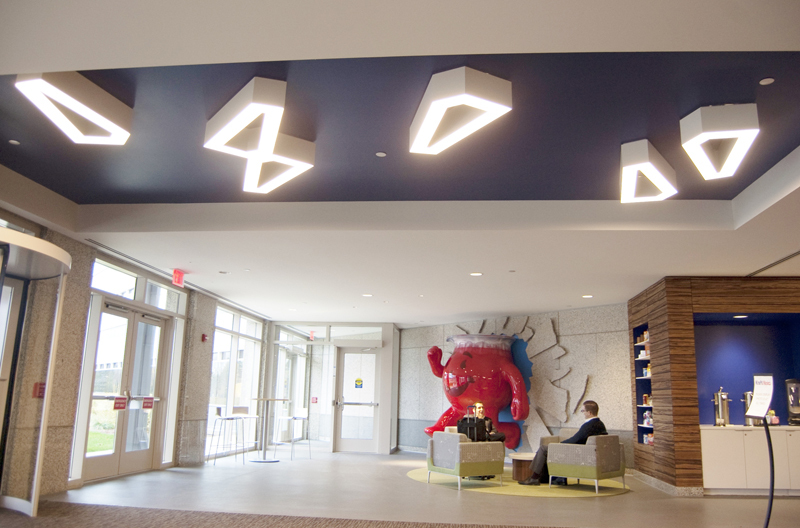 When you walk in, you’re immediately greeted by a friendly receptionist. Only escorted visitors may enter. With Mr. Kool Aid busting out of the wall like the Hulk. And you get familiar with their brands and products too. Everything is branded… even the coffee tables. 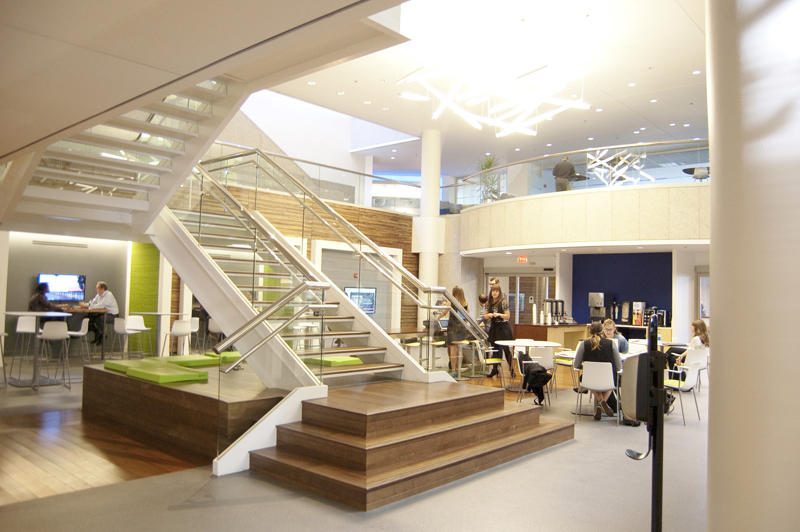 It’s three story business playground. There are lots of seating areas to accommodate any need. Whether you want to have a casual meeting, not tired of being at your desk, need to finish up something before jumping into next meeting or want to grab quick bite away from desk… there’s somewhere you can go all within a few steps. 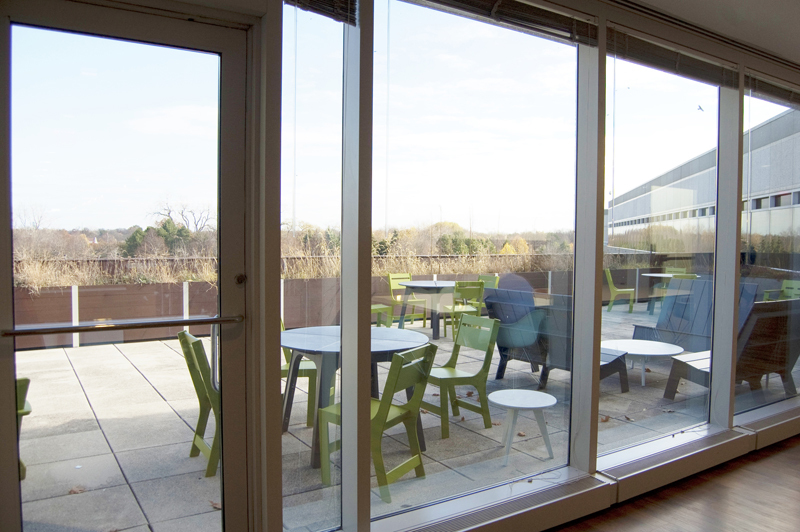 Alfresco working – yes please! Lots of refreshment stations on every floor. The centerpiece of the building is this “amphitheater” area. Behind the KRAFT wall, on the first floor is the amazing Kraft Test Kitchen. Sorry, no camera was allowed in here. But trust me, it is amazing!! Additionally to the grand cafeteria Kraftown has, they also have this small cafe where employees can purchase specialty drinks and snacks. 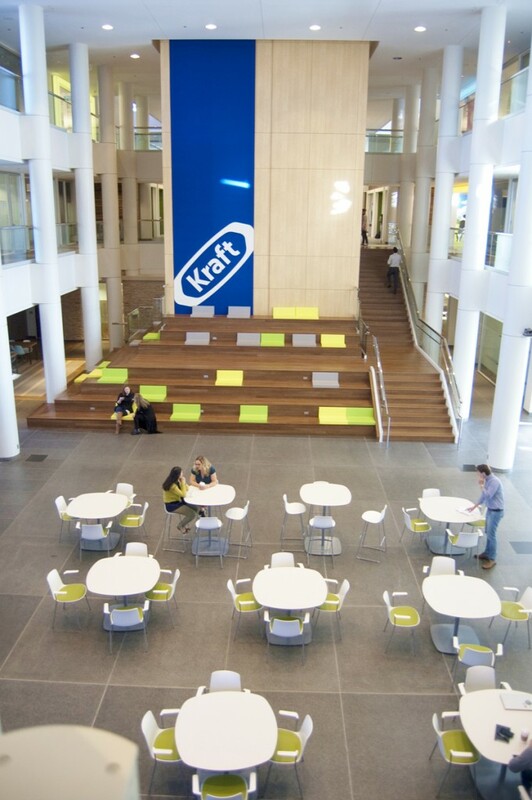 Everywhere you look in the building, there are details of each Kraft brand. How about column covered in slices of Kraft Cheese? I love the food & family magazine. It’s filled with great recipes, tips and more. This quarter’s cover features a delicious hot chocolate torte topped with marshmallows. I was stoked to have met the mastermind behind the magazine and this recipe during my visit. But it wasn’t all fun and games, I was there for business after all. 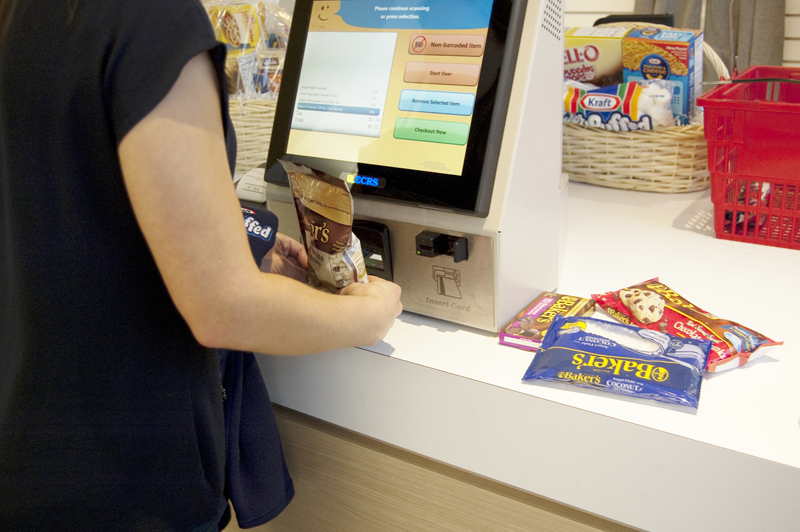 In case you need to stock up on Kraft brand memorabilia or products… they even have a convenience store for ya! I got some goodies on my way out. Wishing my team and everyone at Kraftown a smooth transition to the new office. 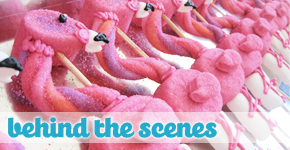 Looking forward to many more sweet adventures and fabulous projects with Jet-Puffed!